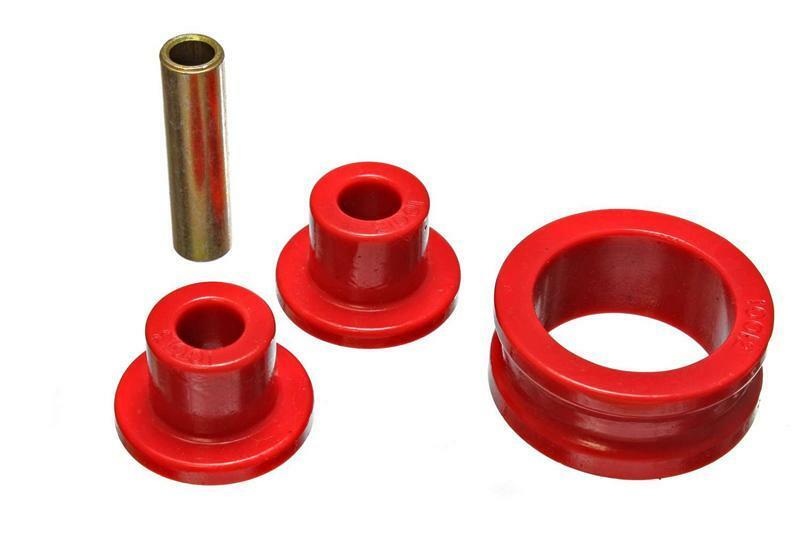 Energy Suspension Rack And Pinion Bushings are just what you need to gain more positive control and feedback from your steering system. Made from quality hyper-flex polyurethane, they replace your stock, soft rubber bushings. This will keep your steering rack solidly mounted to your car, increasing steering response, and providing you with more feedback. Handling will be much improved, and polyurethane won’t deteriorate like rubber bushings do.